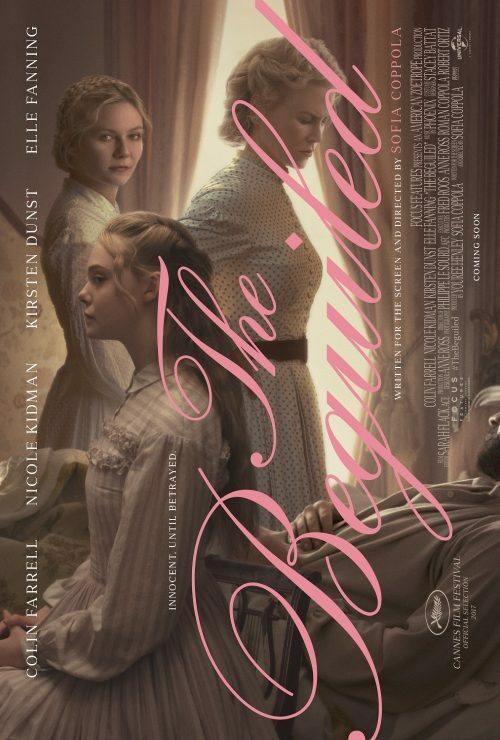 I’m not sure what they are trying to do with the new poster for The Beguiled. The main font is a bit messy at 90 degrees to the layout. It’s like someone started designing a quad, landscape, poster and then was told that it was going to be a one sheet, portrait. It just looks like they have just got the test & fitted it to the, badly cropped, portrait image. What has happened to Colin Farrell’s head?